In her free time, Dr Pineda-Liu enjoys spending time with her family: cooking, traveling and brushing up on her Tagalog. It was my first time with Dr. Pineda-Liu. I hope and believe that we´ll have a good partnership, and I´ve already recommended her to others. I thought Dr. Liu was thorough and kind. she suggested alternatives and a follow up. I appreciated her patient caring manner and no nonsense explanations. an excellent combination . Notably did not hear the exact medical diagnosis until I looked at the report, although discussion of symptoms and treatment went well. As always, Dr. Pineda-Liu was very informative and empathetic. She is an excellent GP. This was my first visit with Dr. Pineda-Liu, as I was looking for a new Primary Care Physician. She was absolutely wonderful! Very friendly, answering all questions, making suggestions, and generally showing genuine care and concern for my health. I could not have asked for a better experience, and I will be recommending her to my friends who are seeking a new Primary Care Physician. Dr. Pineda-Liu is simply outstanding. Dr Pineda-Liu is always very helpful and I feel I am in excellent care with her. I do feel she listens to my concerns and questions and is willing to help figure out the right solution for my situation. I´ve been going to Dr. Pineda-Liu for years and she makes me feel very comfortable every time. She is kind and patient, and will answer all of my questions thoroughly and effectively. Doc truly cares about her patients. Very complicated case with post chemo and side effects from Small Cell PC. Very thoughtful and thorough. Definitively a keeper! I came for a specific reason but decided to make this doctor my primary physician. The doctor is still learning about me and my condition, I believe we´re heading in the right direction. Great. Highly recommend Dr. Pineda-Liu. Dr. Pineda-Lin never rushes my appointment and listens to all my concerns without judgment. She is the best! Dr. Pineda-Liu is wonderful, so patient and understanding. I never feel rushed, always feel listened to, and have great confidence in her diagnosis and recommendations. As much as I dislike going to see the doctor, I don´t mind going to see her, and know that I´m in good hands. I really like Dr. Pineda-Liu. She always makes me feel very comfortable. I can tell she genuinely cares about my concerns and she is very thorough in her explanations. She can be honest and ask probing questions without it feeling like it´s in a judgmental way. first time meeting Dr.Pineda-Liu and choosing her as my PCP. she´s very personable and friendly. put me right at ease. I´m going to recommend my daughter to see her as well. Christine keeps me coming to VM. she was empathetic and engaged. liked her very much, and trusted her course of care. Very friendly and thorough without a feeling of being rushed. FAR BETTER than my experience at my previous doctor´s office! She was awesome! Virginia Mason is lucky to have her! Dr. Pineda-Liu is very thorough & caring & answers all my questions. I don´t feel rushed. I wish I could continue with Dr. Pineda-Liu but I might have to switch doctors because I have to go with Molina Health Insurance and Virginia Mason doesn´t have a contract with them. I REALLY like Dr. Pineda-Liu ... she is always willing to listen to me and willing to answer all questions I may have. I believe that she is very through and that is something that I didn´t feel I had in the past. My hope is that I will be able to have her as my physician for years to come. Dr. Pineda-Liu always takes the time to listen and to explain her thoughts behind any treatment plans as well as make sure I feel comfortable with moving forward. I am impressed that we are now given tests in check our mental acuity. She is an amazing doctor. although she came in 30 minutes late she apologized and spent enough time with me and thanked me twice for waiting. One of my best days at VM was the day one of the MAs recommended Dr Piedra Liu. I hadn´t been seen by a PCP in almost ten years (my last PCP had passed away and I just never followed up to find a new one) and my Beh Health Dr asked one of the MAs for a recommendation. She suggested Dr Pineda Liu and I have been very pleased with her management of my care. She is sharp. doesn´t judge and is willing to work out steps for me to take to improve my health. I love Dr. Pineda Liu and have recommended her to others who also give her rave reviews. Dr. P-L, in spite of running quite late in her schedule, gave me her full attention and as always, was very thorough. Even though she was quite behind, I didn´t feel that she rushed through my appointment. She is an excellent care giver!! I will continue to drive 60 miles one-way to see Dr. Pineda-Liu. She always gives me the required attention and time needed to address my health concerns. She takes my health very serious and has always showed me the utmost respect and care. I was her patient at the Lynnwood Clinic. Dr. Pineda-Liu is very compassionate, thorough, efficient and competent. I highly recommend her to others. Dr. Pineda-Liu is the best primary care provider I´ve ever seen. She is professional but with a warm and caring manner. I´m very confident in her abilities and knowledge and I hope she is my care provider for years to come. Every visits, nurses are not same, always different one or two, so don´t feel much about them. Pineda-Liu MD has been my main doctor for sometimes, so feel close and comfortable. She listens to me well and provide good advise. I´m here at this clinic location because of Doctor Pineda-Liu....if she were to go to another location, I would follow her....that´s how much I value her as my care provider. Alwaysgenuine concern and time taken for questions. Extremely happy with my Doctor. I just recommend Dr. Pineda-Liu to my adult daughter. 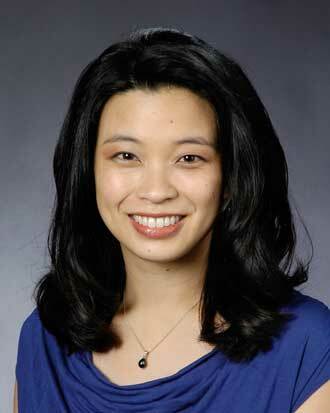 Dr. Pineda-Liu is an exceptional physician that goes the extra mile in caring for her patients. She is respectful and kind, qualities not found in every physician and I appreciate her very much. Dr Pineda-Liu is wonderful and extremely supportive. I feel lucky to have her as my doctor! I was very impressed with my doctor. This was our first time meeting following a recent move to the area. She demonstrated care and really worked to help understand my issue. Dr. Pineda-Liu is the best. She goes above and beyond. Dr P-L is an outstanding listener, provides complete explanations to my questions, and is a very patient person with this particular patient. Dr. Pineda-Liu is fabulous. Caring, thoughtful and a great listener. Love her!! My primary care MD is amazing. Very friendly, asks good questions, proactive and definitely informative. She is a great Dr. Timeliness is the only issue. I´m very happy with my doctor. She is fantastic and sharp. I am thrilled I found her she is wonderful! Great knowledge and easy to talk to and work with. Dr. Pineda-Liu is so patient and caring every time I come to see her.